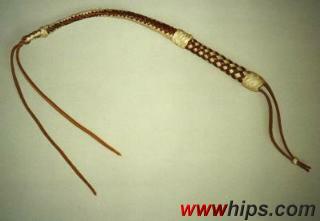 This quirt combines both function and nice design. Two-tone braid with rawhide and latigo. Narrow, heavy slapper, simply sled through the quirt´s ring and fixed by two stitches of slit-braiding, making it replaceable.